Elite Pest Control have provided pest control services for Hull and the surrounding areas since 1996 and have quickly become a highly trusted supplier of pest control services throughout the region. As a company we are a member of NPTA and our specialist trained staff use the latest equipment and ecologically friendly cleaners whilst maintaining the highest level of discreet service. All of the methods and pesticides we implement are safe for use in and around Commercial & Domestic premises and will not harm pets or children. Elite Pest Control are never far away from your pest control problem in Hull. If you have Pest Control issues then we are always keen to apply our expert and local knowledge. The Control and removal of rodents, insects and feral birds regarded as pests. The placement and removal of Bird gel. The Installation or repair of high quality 19mm/28mm/50mm/75mm/100mm 13/6 Twine UV bird netting. The removal of bird guano and their associated health risks. We can supply and fit all of the Insect-O-Cutor ranges. We can provide independent biologist reports. We cover all aspects of pests and vermin including mice and rat control, wasp nest removal, insect infestations, bird control and bed bug control. Rather than simply providing our pest control services in a situation that is reactive (ie. eradicating pests only when they've already established themselves as a problem and caused issues) Elite pest control offers an on going service that is preventative to pest control in Hull. We work relentlessly so that pests will not cause further problems or re-enter your home or business's premises. All of our exterminator services, including those for domestic & commercial, start by thoroughly inspecting the premises and informing you of issues or areas for potential pest removal situations. Our Hull pest control team then presents you with options to deal with the situation, and eradicate any potential problems. It is always highly recommended to contact an experienced and qualified Hull pest controller when dealing with pests and vermins. 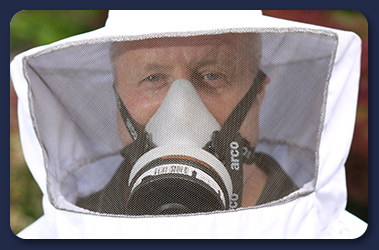 The possible dangers posed by many pests such as wasps can be high and in extreme cases lead to fatalities. Elite pest control are confident we can relieve you of the stress that pests cause, and implement preventative methods to reduce the risk of pests infiltrating your home or business in the future. With well over 20 years of pest control experience our local customer service is unrivalled. Give us the opportunity to evaluate and implement pest control methods built around your home or business's specific needs. Call our local Hull pest control team for a free consultation and quote.